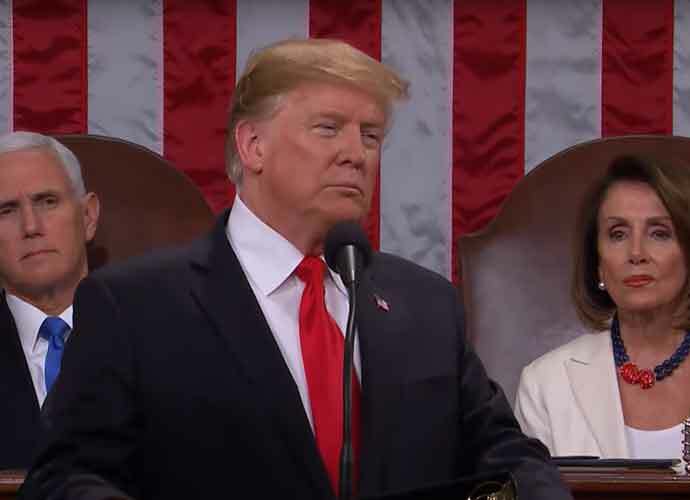 President Donald Trump delivered his second annual State of the Union address Tuesday evening. His speech lasted for an hour and twenty minutes, during which time Trump highlighted his administration’s success, outlined his vision for the country and what he hopes to achieve this year. However, perhaps the most memorable moment came when Trump asked lawmakers to cease their investigations into him. “An economic miracle is taking place in the United States, and the only thing that can stop it are foolish wars, politics, or ridiculous partisan investigations,” Trump expressed to some applause from fellow Republicans. Continuing, he added, “If there is going to be peace and legislation, there cannot be war and investigation. It just doesn’t work that way!” It was a denouncement one could sense was written to earn cheers from Trump’s colleagues. It was instead met with an awkward silence with some laughter and a few claps audible in the background. Trump did not cite any specific investigations in his speech. However, it is likely he had Robert Mueller‘s investigation into Russian interference in the 2016 elections on his mind, which Trump often decries as a “witch hunt.” However, both House Democrats and federal prosecutors are also looking into probing the president, examining his business and political practices.